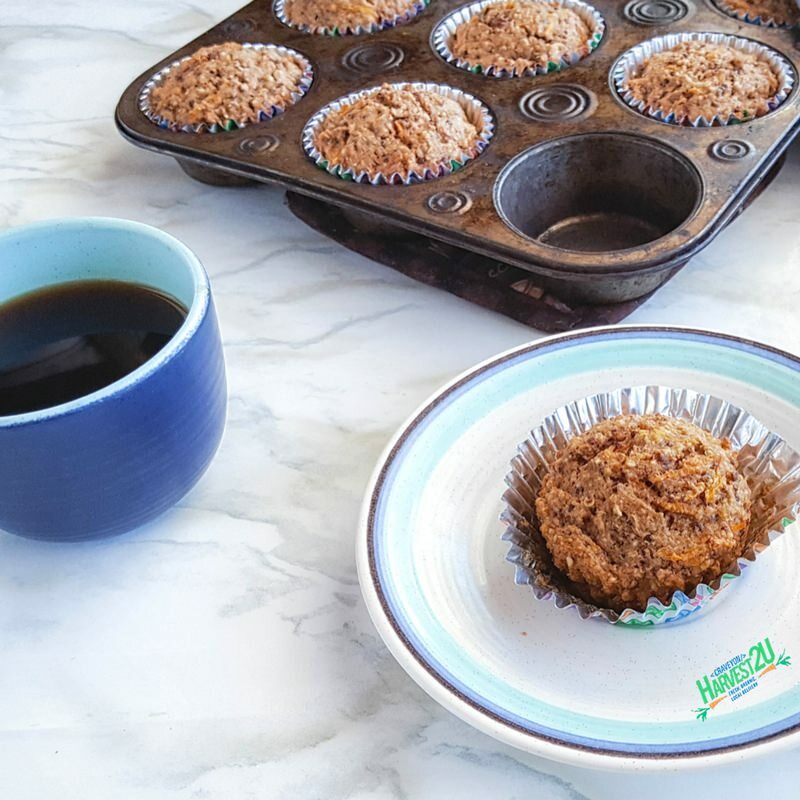 These hearty carrot quinoa muffins are loaded with protein, fiber, and other nutrient goodness. You can use red or white quinoa, but the red quinoa adds a nice rich color. Line a muffin tin with wrappers, or grease. In a mixing bowl, combine quinoa, carrots, sugar, coconut oil, yogurt, vanilla, eggs, and pecans. In another bowl whisk together the flours, baking powder, cinnamon, nutmeg, and salt. Add the dry ingredients to the quinoa carrot mixture and mix just until combined. Scoop into the prepared muffin tray and bake at 350 degrees until center is done about 20 minutes. The chef Audrey Humaciu created this recipe for Harvest2U. Audrey is the Editor in Chef at That Recipe and VP of Creativity and Sarcasm at Munofore. When she’s not blogging about her eclectic interests from cooking and crafting to ornamental horticulture and the idiosyncrasies of the American language, she’s just your typical 40 something mom livin’ the life in the California burbs… without the minivan and overpriced coffee. Always use organic fruits and vegetables in these recipes. Local source: Harvest2U, a Temecula Organic produce company.